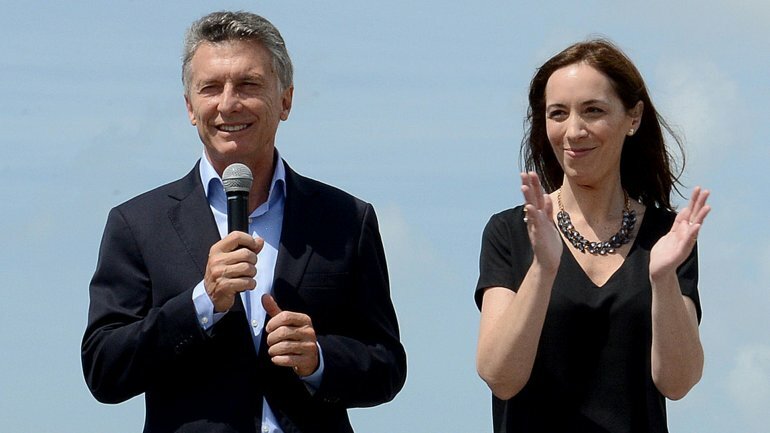 EspañolPresident of Argentina Mauricio Macri and Governor of Buenos Aires Maria Eugenia Vidal have received numerous death threats in recent weeks after allegations came to light pinning them to favors done for outside interests. The Buenos Aires government’s offices had to be evacuated due to a threat made by phone following the discovery of a shotgun cartridge in the garage of Vidal’s former residence. Authorities also confirmed that threats against the Buenos Aires government were made from the province’s Prison Unit No. 9. The prisoner has reportedly already been identified, but not made public. Read more: Who Is to Blame for Argentina’s Chronic Poverty? The presidential house Casa Rosada received a bomb threat by phone this week. Unlike previous occasions, the president was present in the building, resulting in the use of bomb squad and trained dogs. Macri and Vidal were attacked with rocks when attending a public event on August 12 in the city of Mar del Plata. “Every time the attacks are stronger and more violent,” Minister of Buenos Aires Federico Salvai said. He also received a threatening message this June. Secretary of Human Rights Claudio Avruj pointed some of the blame at Cristina Kirchner. “Interest were touched in the province and the nation. And there are people who get angry, “said a minister close to President Macri. Tuesday night, federal judge of Mar del Plata Alfredo Lopez, who investigated the attack on Macri and Vidal in Mar del Plata, told TN television that the President had been in physical danger. “The situation was so serious and of such magnitude that the president, at one point, was completely surrounded and was in physical danger,” he said. Lopez denounced three prosecutors Monday for “dereliction of duty” in the case investigating the attack in Mar del Plata. The judge asserted the three prosecutors obstructed the progress of the case. Lopez told La Nación on August 18 they should impeach the members of Legitimate Justice, a group composed of judges and prosecutors who have made public their support for the Kirchner government. Government sources said both Macri and Vidal kept their agendas visiting different regions of the country, despite the threats. Raquel García is a Venezuelan journalist with over 16 years of experience in digital outlets and radios. She currently lives in Buenos Aires, Argentina. Follow her @venturaG79.